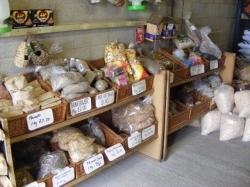 We can also order any specific requirements you may have, as well as a full selection of wild bird feeds that visit your gardens! Any orders over £50 are delivered FREE in the local area on request (deliveries are on Saturdays only). Why not drop in to our shop and see for yourself and check out our tea room and shop while your here. If you would like nay further information, call us today on 01772 786198.